How many of you have experienced batteries that eventually leak or corrode while inserted in your various consumer devices? When this happens it may even ruin the device itself! How important are some of your electronic devices? While no one wants to experience battery leak damage to any of their gadgets, some of those gadgets may be more important than others – especially when considering “mission critical” devices. You might consider using batteries that are specified not to leak or corrode. It reviews why battery corrosion happens, how to prevent it, and how to clean it up. To summarize, the white fluff that fills in around battery compartment terminals is from leaking alkaline batteries. Alkaline batteries may leak from a “parasitic drain” which slowly discharge batteries (more info in the article). Energizer claims a “No Leaks Guarantee” and I just wanted to put it out there for your information and benefit. I will be purchasing these batteries in the future. On their website they state that they will repair or replace, any device damaged by leakage from Energizer MAX® Alkaline batteries either during the life of the battery or within two years following the full use of the battery. If exact replacement is not available, devices may be replaced with a product of comparable market value at the time of claim. Energizer batteries guaranteed not to leak include Energizer MAX®, Energizer Recharge® Power Plus, Energizer® hearing aid batteries, and Energizer® Ultimate Lithium™. Note: The ‘AA’ size is the most common consumer battery in the world. And for your further information, they say Energizer® Ultimate Lithium™ Batteries are GUARANTEED NOT TO LEAK. Due to advanced technology, Ultimate lithium™ batteries will not leak under normal consumer usage. I use lithium batteries in all of my mission critical devices. Also, lithium batteries are MUCH, MUCH BETTER when it comes to cold weather tolerance. They perform better. Okay, I know that I have written lots of articles over the years about batteries. However I figured that I would throw out this latest information. I need the money, so please help the poor. LOL…. The comedy show continues! Has anyone had any problem…. With the Duracell Ultra the ones with the red on end? So what does betting have to do with proper battery maintenance, Keeping your batteries fresh is the best way to prevent damage to your devices. Whatever you do, don’t use Kirkland brand batteries in anything you care about. Energizer batteries are definitely one of the best, had been using Duracell batteries and they are OK but will still leak in certain situations. I lost 3 real good head lamps because of Kirkland batteries and a really nice fluke meter as well, big mistake, never going to happen again. The batteries that I’m sorta waiting to see how they do are my rechargeables, have Tenergy and energizer and a few goal zero batteries, so far none have leaked, but haven’t really pushed them much, so need to be more on it with utilizing the rechargeables and watching performance. I took Ken’s advice on the Eneloop batteries a little over a year ago. I bought a portable solar panel, charger, and large electronic battery recharger (it’s like the cell phone USB sticks you can buy, but holds 4X the charge most of them hold). I love the set up. Very portable, and we use Eneloop for all devices in our home. I also keep 4 AA and 4 AAA in all bug out bags. About every 6 months, I gather all of them up and fully charge them. This morning I noticed the 6 in my weather radio were almost dead, so they are on the charger now. The Eneloop have worked very well for us, and I highly recommend them. I agree the Eneloop are GREAT, I bought 2- 16 packs of each AA and AAA; they are great and no problems. Solar Charger is the way to go. I have some in all sorts of equipment, the most abused is the Indoor/Outdoor sensors for the La Crosse Digital Thermometer, outside Temps here get from -10 to over 100, have not even had to replace or recharge a single setup of the 3 remote sensors. They also are working GREAT in the ‘Drive/Personnel’ security sensors, taking the temp changes like a champ. You sure that was not the heat off Kilauea?? Great information Ken, I definitely have been doing this the wrong way. Thank you. For my standard AA batteries (other than my eneloop rechargeable’s and my lithium applications) I had been using Duracells. I’ve noticed that they tend to leak now and again… I will be switching to Energizer for those battery applications as my stock runs out. I switched away from Kirkland years ago to Duracell, but darned if they don’t leak just as often and as badly. I just opened a UST 10-day lantern with AA’s, and 2 of them (Duracells) had leaked all over. I will change course and put the next set of batteries in a bag next to the light. Thanks for the advice. Every ruined electronic device I’ve had, had one thing in common…. Duracell batteries leaking. I was, at first, angry at myself for not checking the batteries more often, until I had some Duracells start leaking less than 2 months after installation. 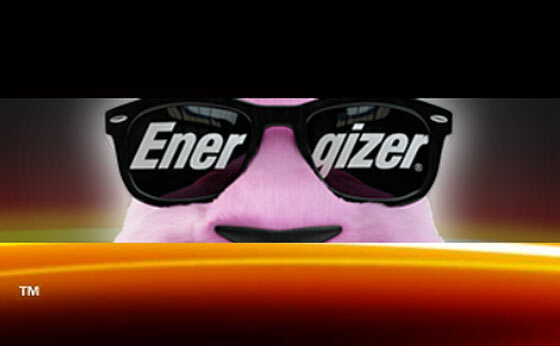 I use Energizers exclusively now for non-rechargeable use. A tip for FRS/GMRS walkie-talkies. Carry alkaline replacement batteries while in the field. Their 1.5v over the 1.2v for rechargeables has more then once increased my transmit range, getting me out of a tight spot. Rayovac will replace your device if their battery leaks. I have received checks from them. I’m pretty sure every major battery manufacturer will do the same thing. It’s raining sooo I can play a little, I use a lot of CR123 batteries any suggestions? Tks. Hey, I found a few places that sell rechargeables in almost any size, just google it, you’ll find em, been meaning to order some but been either broke or forgetful, or both. If you are using them in pairs in flashlights, check and see if an 18650 lithium ion battery will fit. It is slightly larger in diameter than the 123’s, but the mAH rating is way higher, about four or five times what two 123’s have. Good brands are Ultrafire and the Orbtronic (made by Panasonic). Be careful where you buy them though…the Ultrafire 3000 mAH are the most cost efficient but some retailers sell fakes. The base of the battery will have Ultrafire printed on it if they are the real deal! Another option is the Fenix brand, but a little pricier. The rechargeable 123’s have a very low amount of power available, so might not be a good option unless you have low drain devices. The primary (non-rechargeable) batteries might be a better option in that case if only 123’s will work. When buying them in bulk, there are suppliers out there (If Ken will let me say it, BatteryJunction.com) has them for a little over a dollar apiece in quantity purchases.. Hope this helps! J.d. thanks must use 123. ,for night vision gear. ACHD has asked about replacing our night vision. We had the inexpensive one many moons ago, he is now thinking about acquiring another. AC .ACDH …..have 6 different IR nv systems ,in process of switching to thermal , will let you know what works best for me after testing. Think thermal is worth the extra money ,and price is coming down. To Nailbanger: Thanks for the warning on Kirkland Batteries. I have mostly inexpensive headlamps and flashlights (try to spend no more than $22 per unit. ) I have lost several items to battery leakage and I do not like the multifeature headlamps. I like these items to be simple. Generally, simple means inexpensive. Add little pieces of kleenex or toilet paper around the battery terminals at both ends, in case it leaks, so the paper absorbs the acid and does not reach the circuit board, ruining your clock, radio, camera, or anything that uses batteries. Push paper into place with a toothpick. I have been doing this for 20 years. Always remove batteries when not in use. I have switched to using DURACELL AA batteries because the ENERGIZER AA’s are slightly bigger and don’t fit my son’s gaming controllers anymore. They used to fit fine, but now they are so hard to install. I’d love to hear feedback about that. Also, I had a new pack of ENERGIZER AA’s and they corroded before the pack was ever opened. I just went to the shop and measured both the Duracell and Energizer AA batteries with my digital calipers. Not sure what you’re experiencing, but they’re identical dimensions in my experience. 1) Believe it or not, standard batteries are slightly different in size. Colleges that use “clicker” devices explicitly say not to use Duracell batteries because they are too short and don’t make proper contact with the battery contacts. 2) Every Maglite I’ve ever had destroyed – which to date is all of them – has been because the Energizer batteries inside leaked and became a permanent part of the flashlight. Not Duracell, Energizer. Their guarantee is admirable, but you get to pay $10 to ship your Maglite to them and get back a plastic flashlight in return.